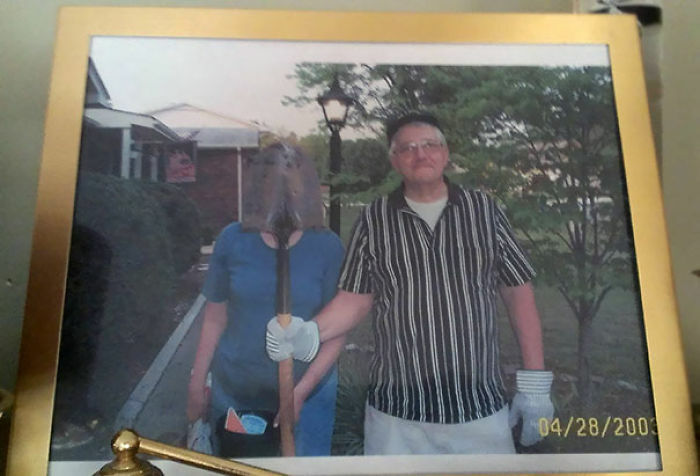 20+ 'Naughty' Grandparents Who Are Clearly Way Ahead Of Their Time! 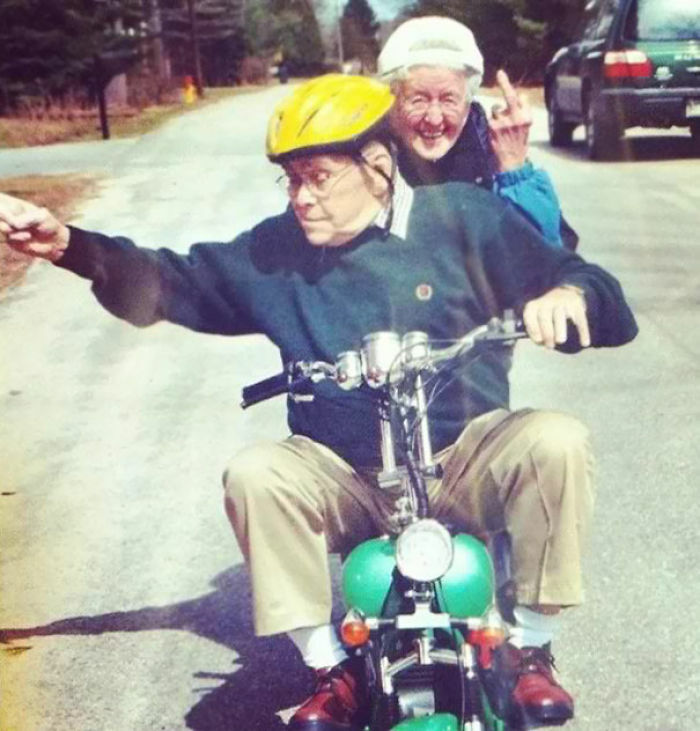 If you thought you were cool, wait until you meet these uber-cool grandparents. Grandparents are hands down the best and cutest members of one's family. 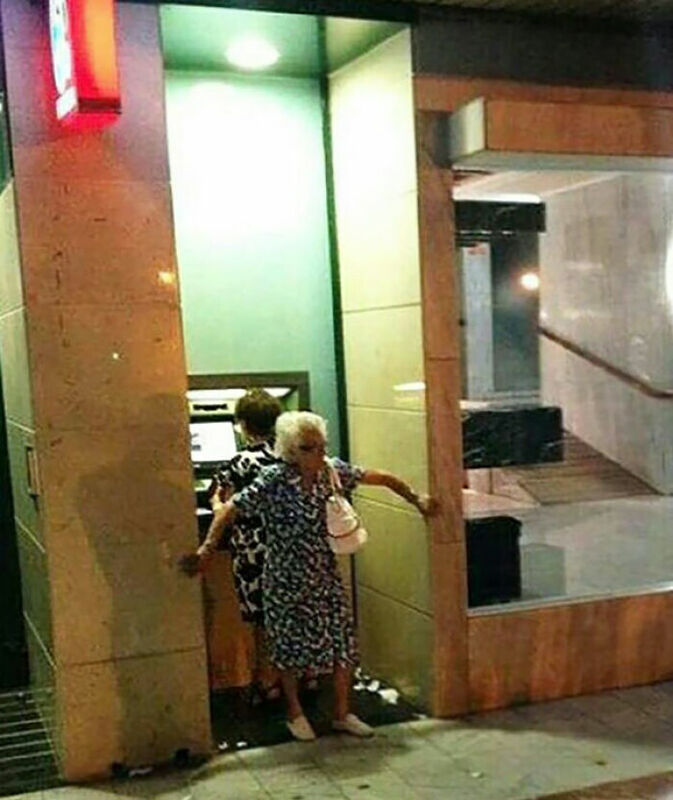 You'll hardly find anyone talking ill about the older generation. While it's true that they can be a bit ridiculous at times but isn't that the charm? Coincidently we have come across a few people from the older lot who are way cooler than most of us. 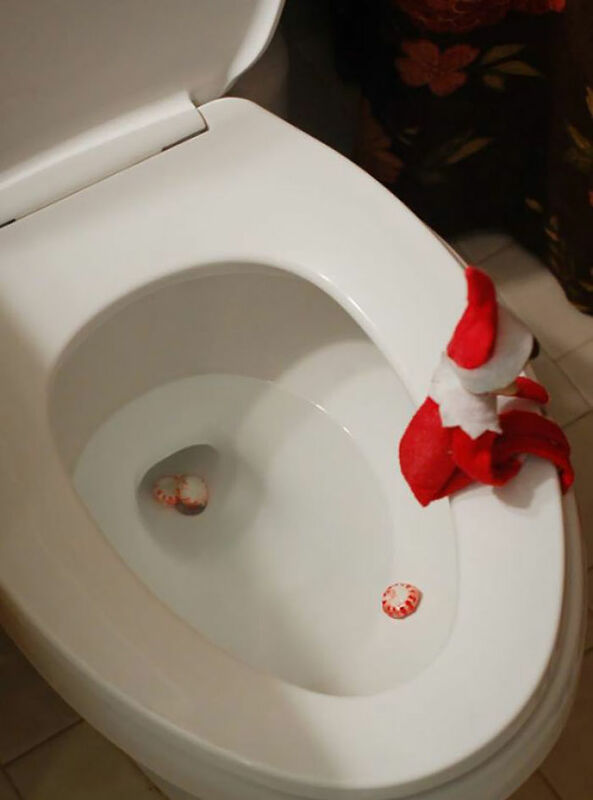 Scroll through and LOL! 1. 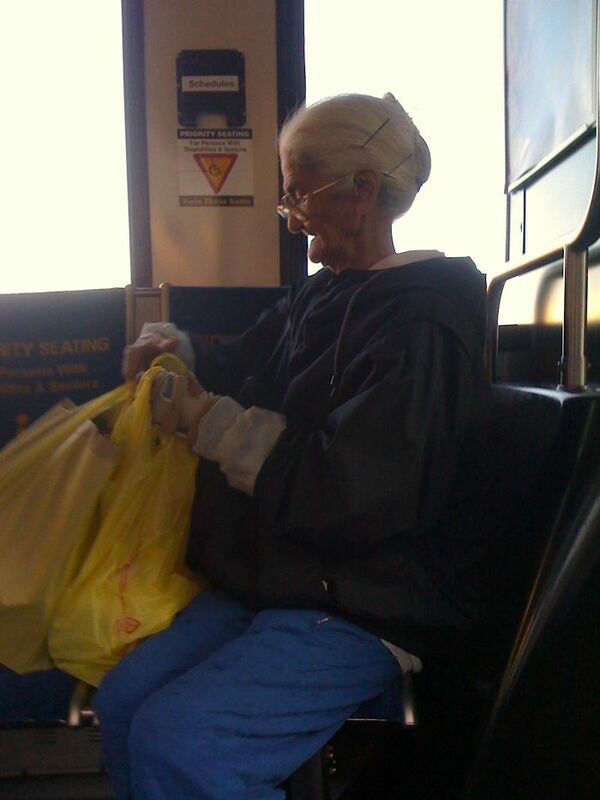 The granny from Tweety is real! 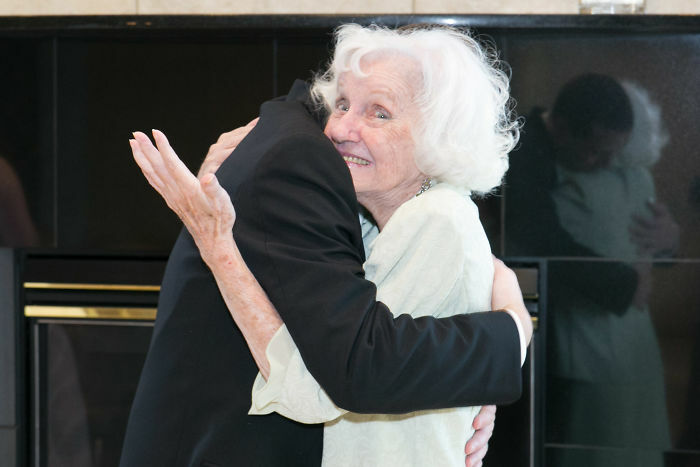 This is what she asked at her grandson's wedding because she suffers from Alzheimer's. 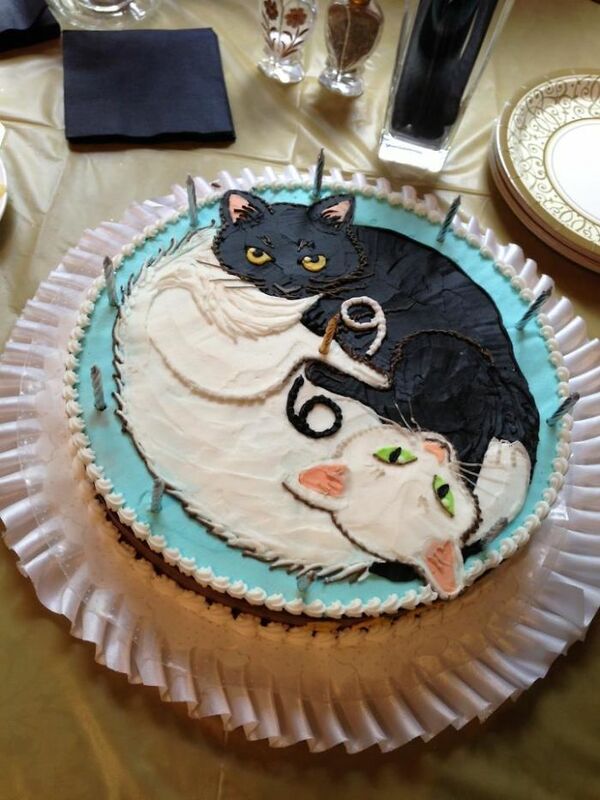 Her grandson decided to surprise her with this birthday cake. 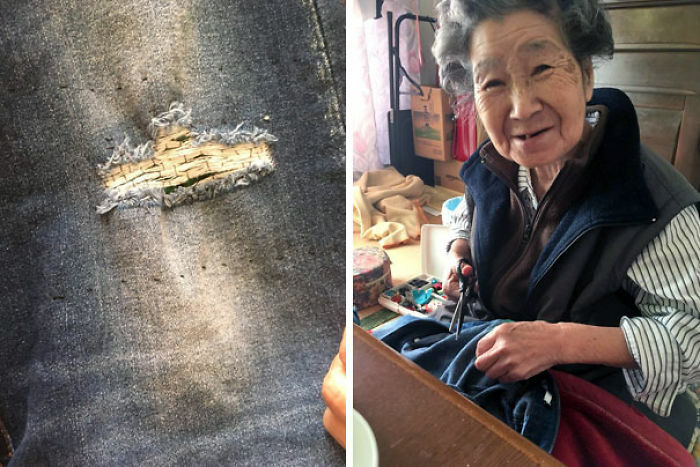 She returned home after work to find her ripped of jeans sewn up by her grandmother. 6. What a thoughtful lady! 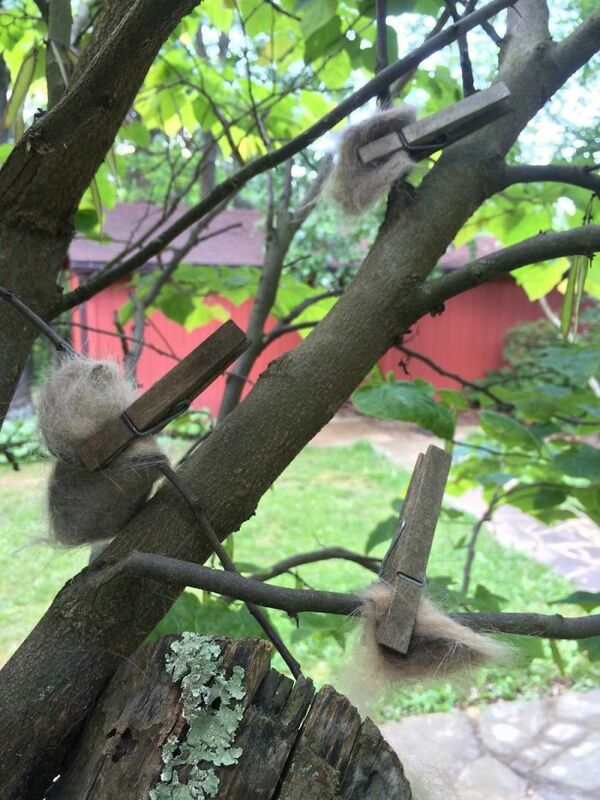 His grandmother clips her cat's fallen hair on the trees so that birds could use it to make a cozy nest for themselves. 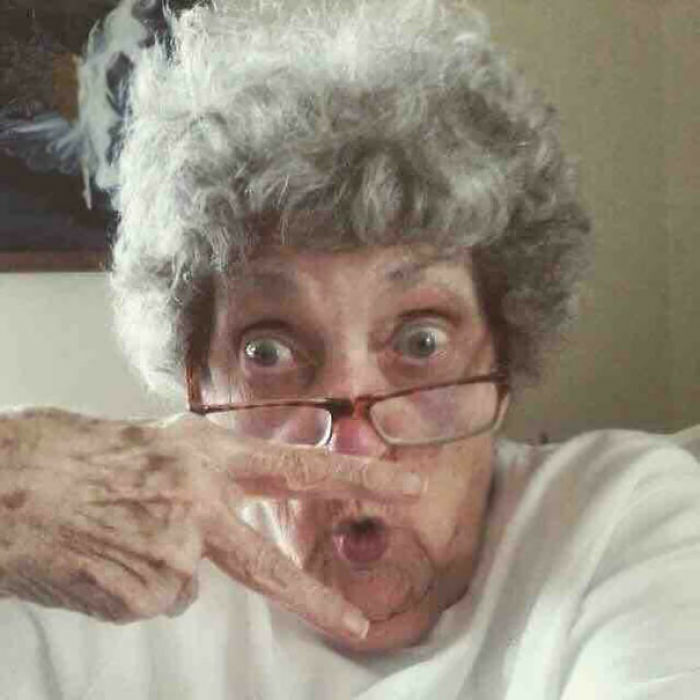 This 83-year-old grandma decided to upload her new profile picture on Facebook. 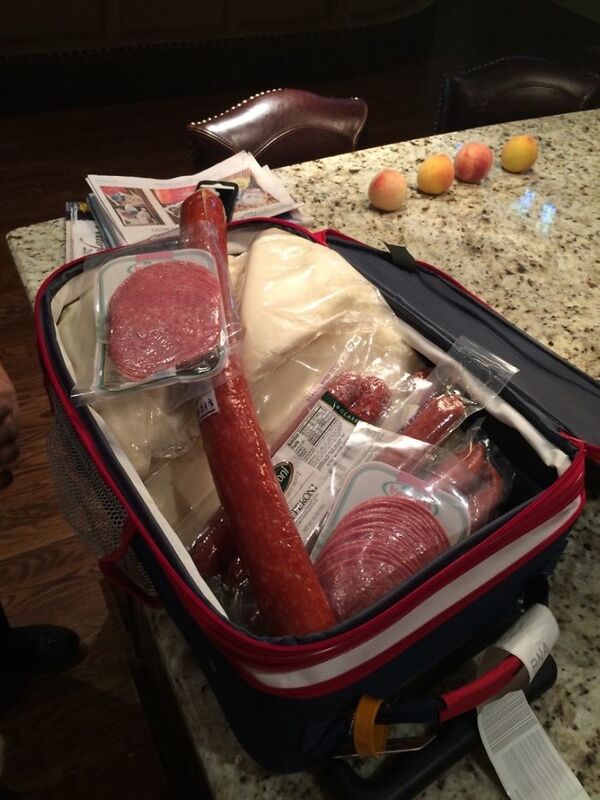 These are the things she packed. 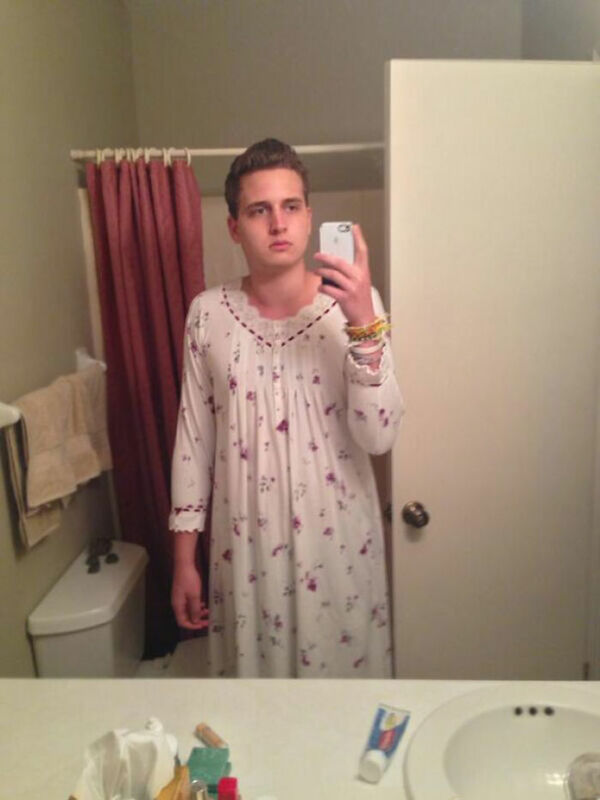 He forgot to get his pajamas so his grandmother handed him something comfortable. 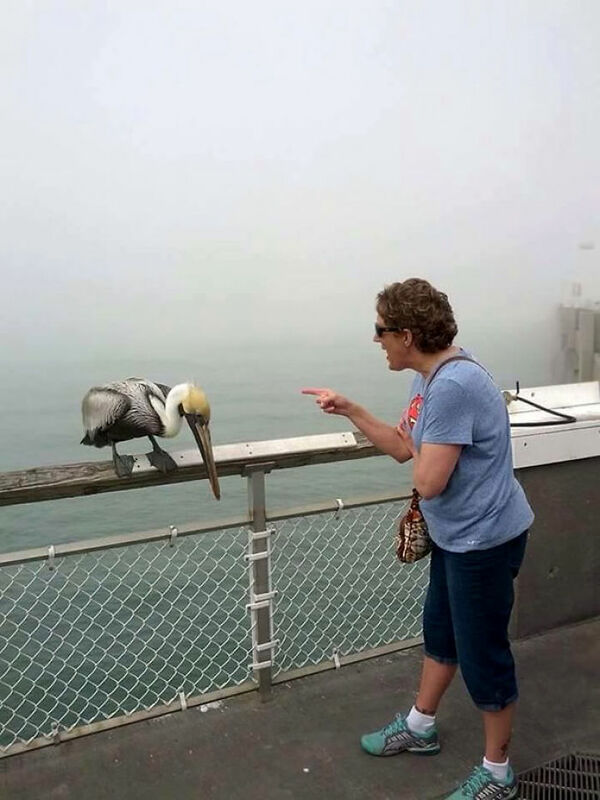 This grandma got bitten by a pelican who later realized what a huge mistake it was. She started scolding the poor thing. 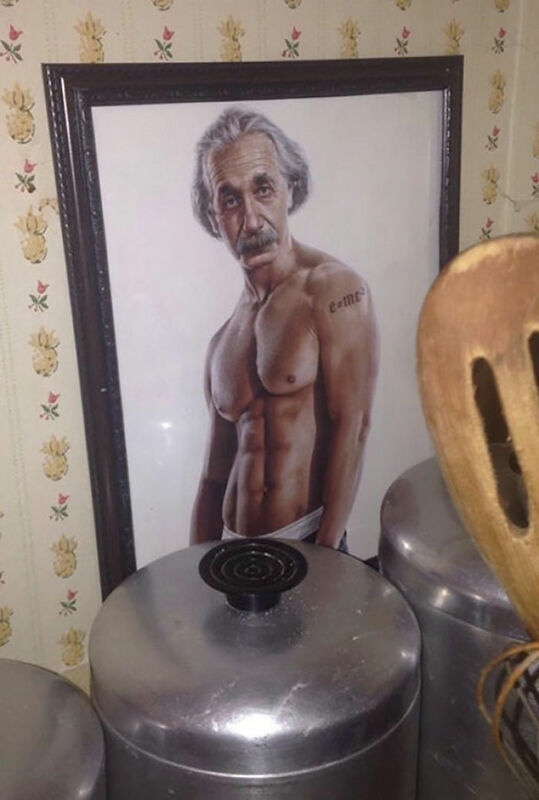 This was hidden behind some jars in his widowed grandma's kitchen. 15. Grandma's busy exploring her new gift! Was gifting her a new camera phone a good idea? This grandma wanted to take a picture with her whole family for Christmas because she thought this could be her last. 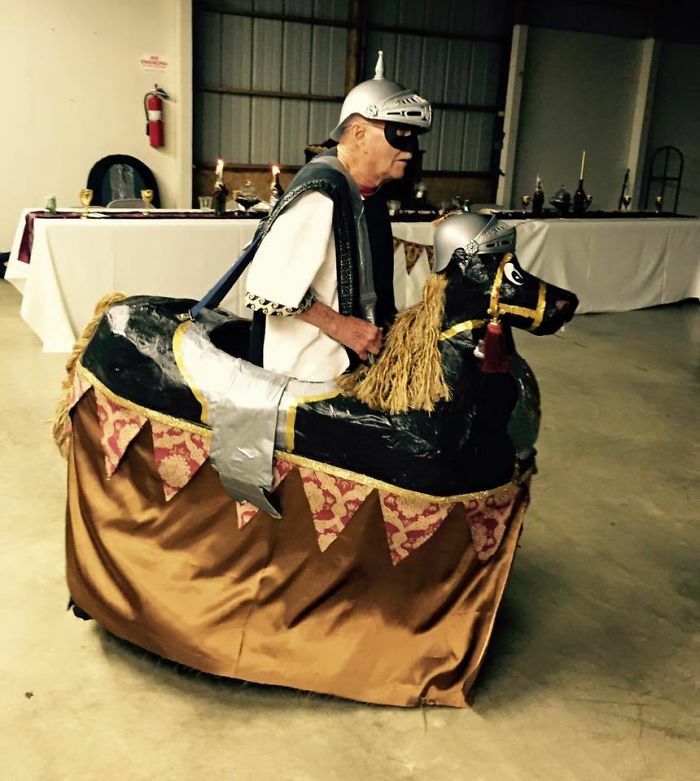 At his grandson's Medieval-themed wedding, he decided to show up like this. 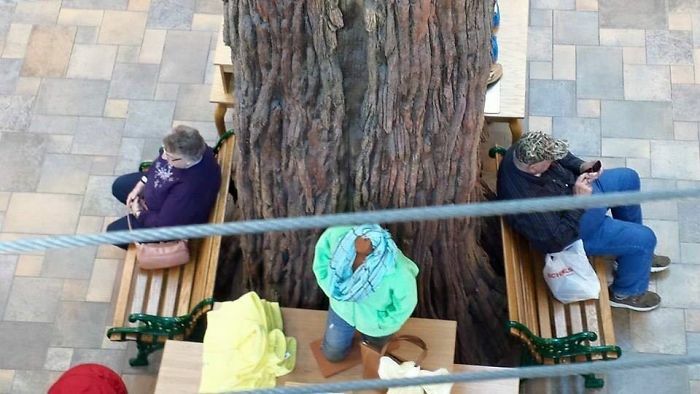 Grandpa and his friend got themselves new phones and they just can't stop texting each other. 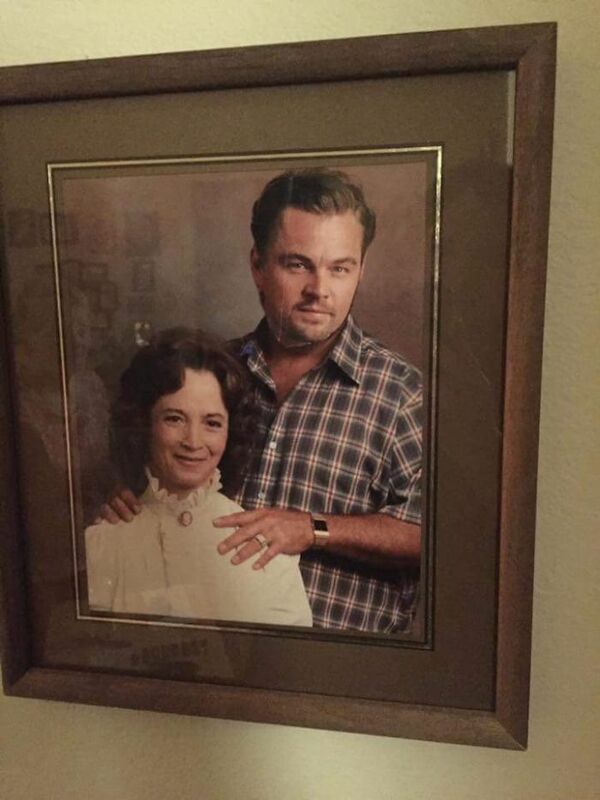 She is a pro at this game of Photoshop. 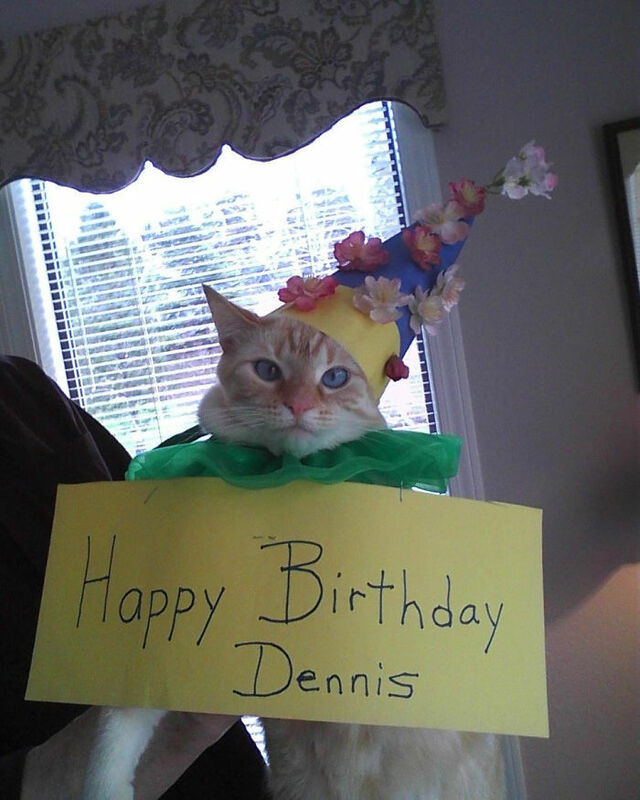 His grandmother posted this on her wall. 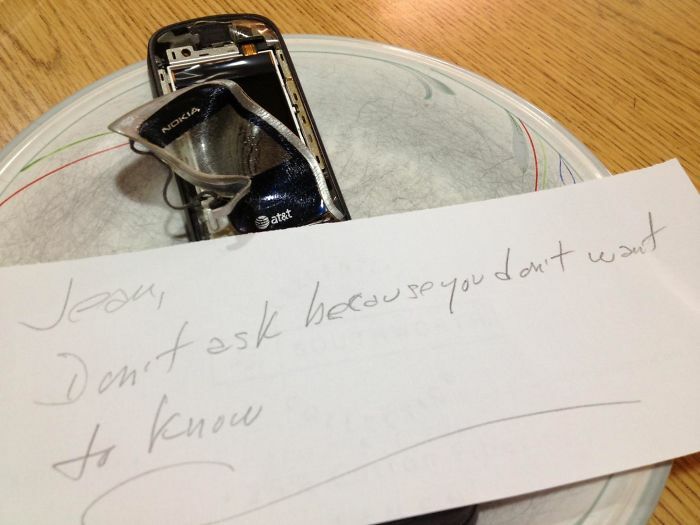 He spilled some water on his phone so he asked his grandfather to put it in Rice to dry. His grandfather assumed he wanted him to cook it in rice. 22. This is heart-breakingly sweet! Both her grandparents were waiting for each other at the mall. 23. What's the reason for your visit? 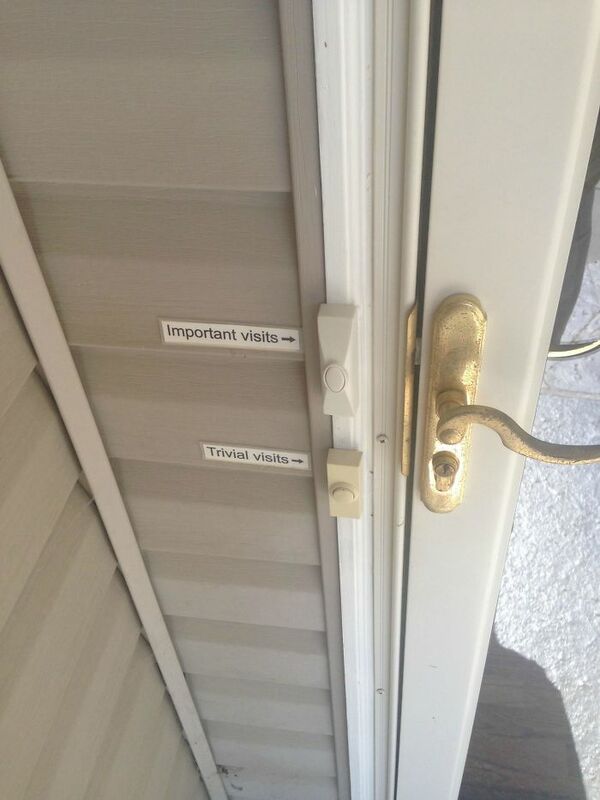 They like to be prepared. 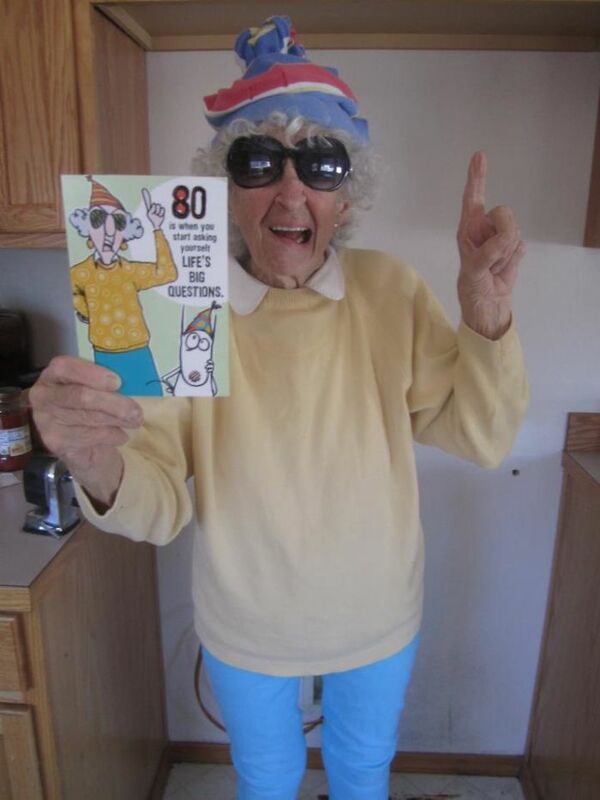 24. Who said old people can't have fun? 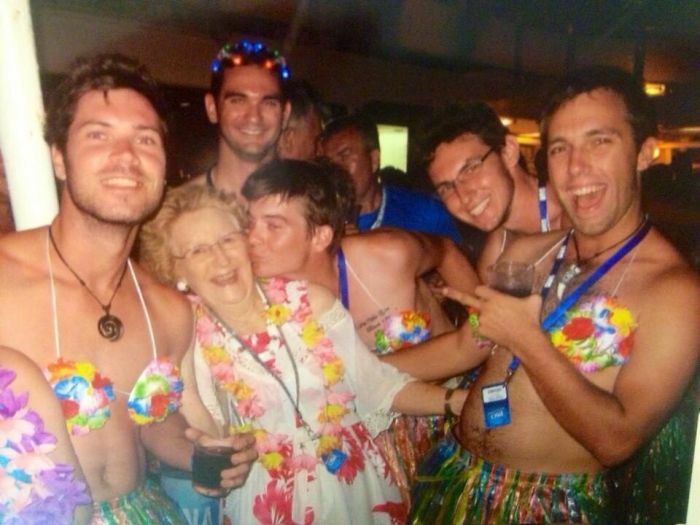 This image was found on her camera after a New Year's cruise.